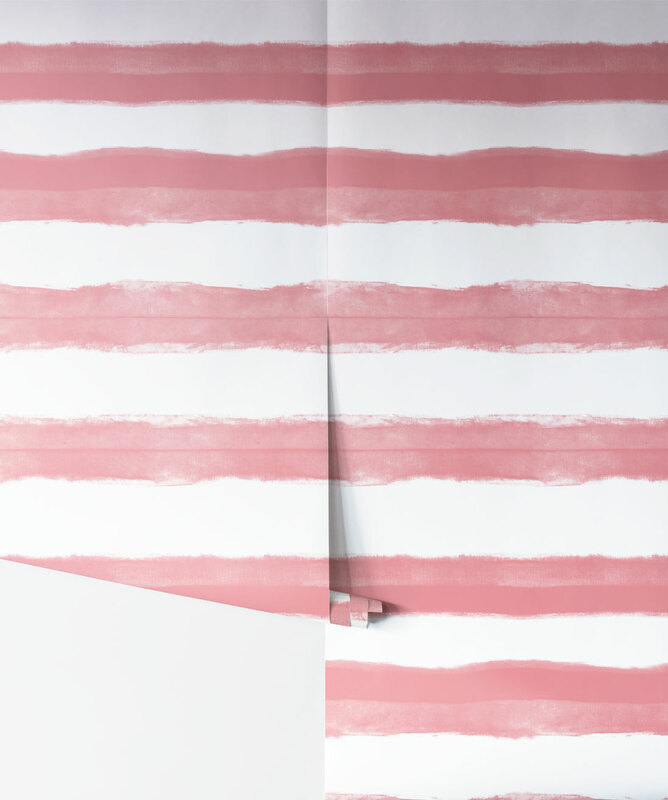 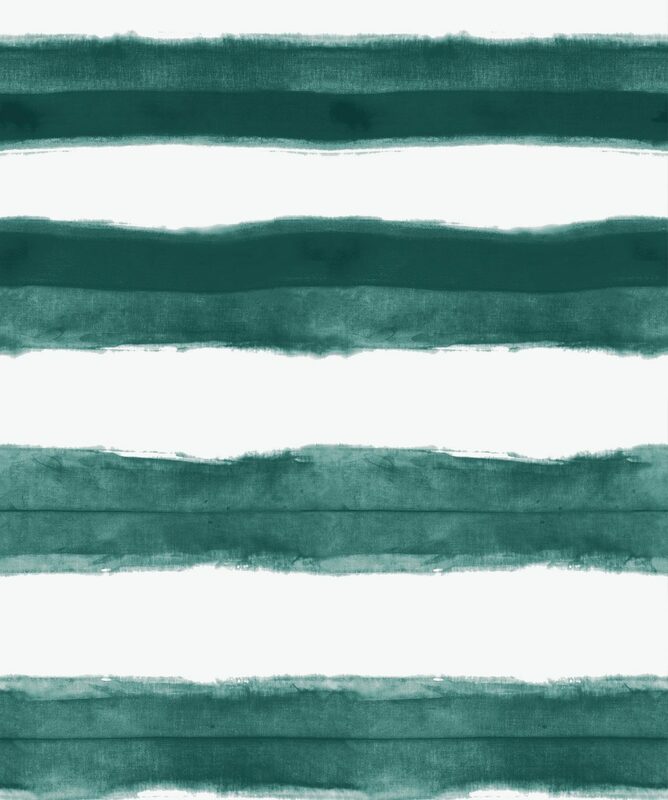  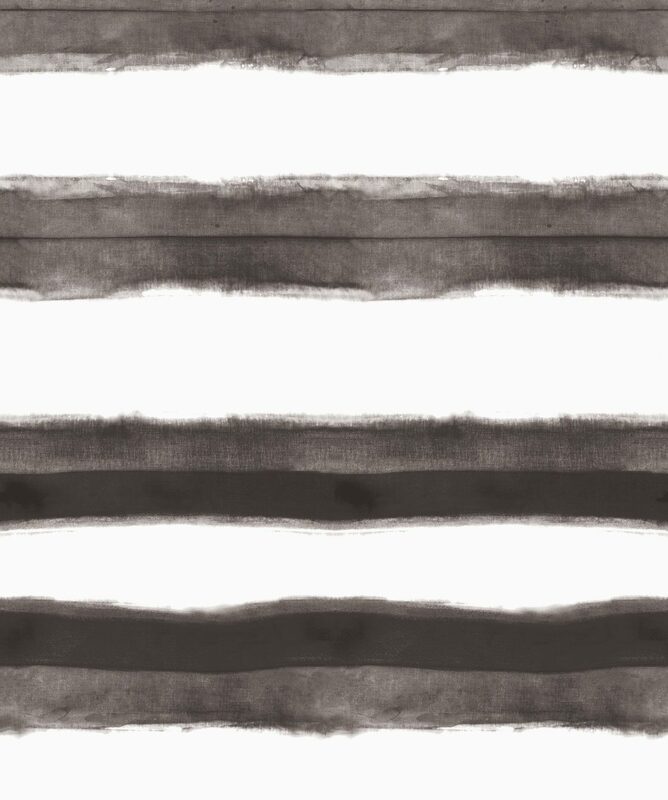 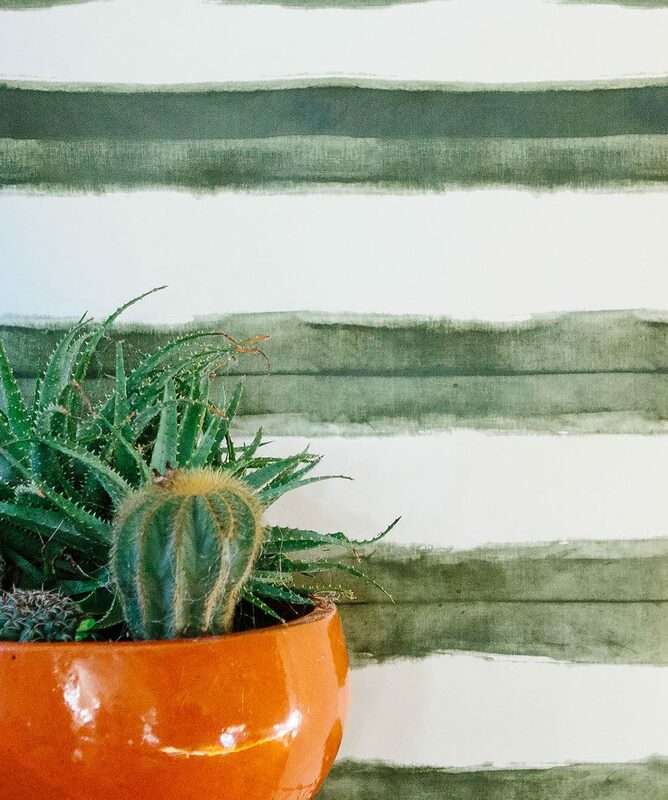 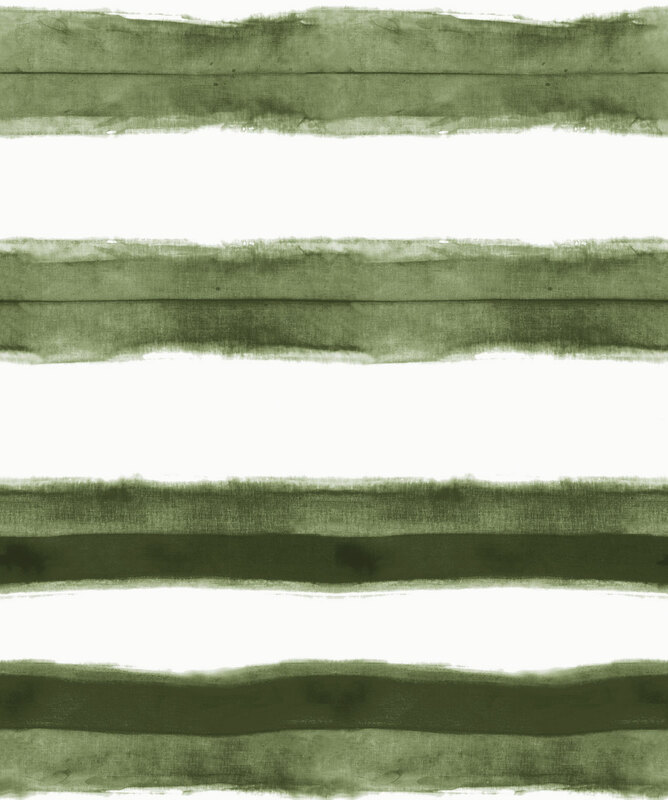 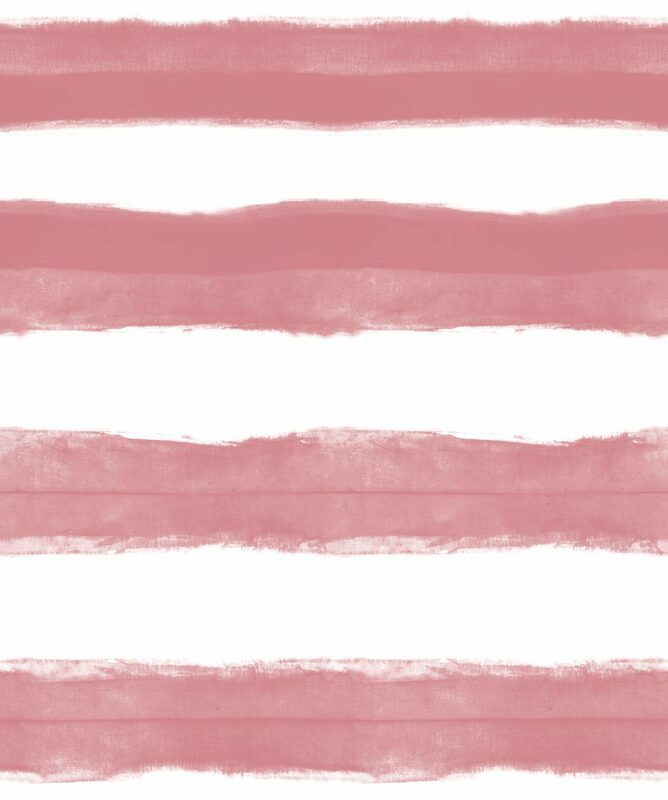 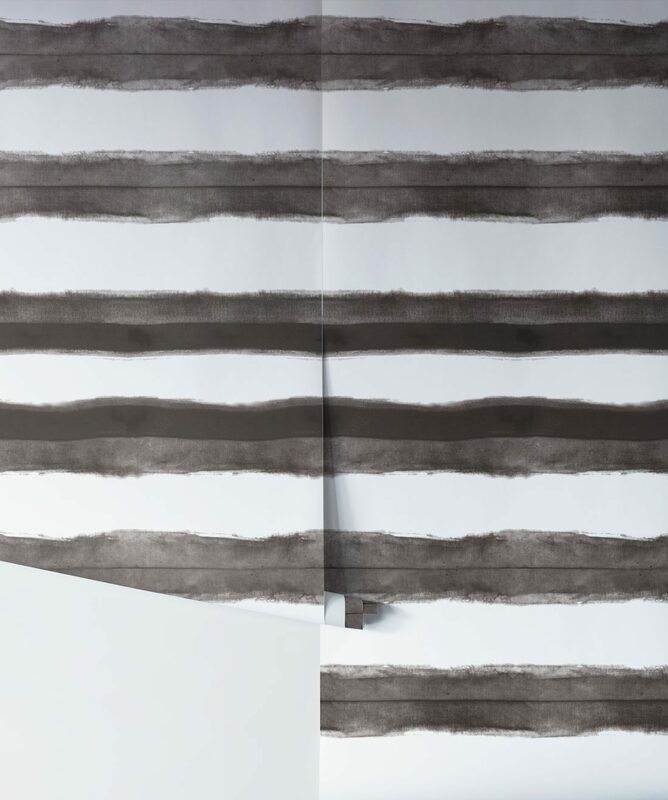 A bold horizontal stripe wallpaper with a real handmade aesthetic. 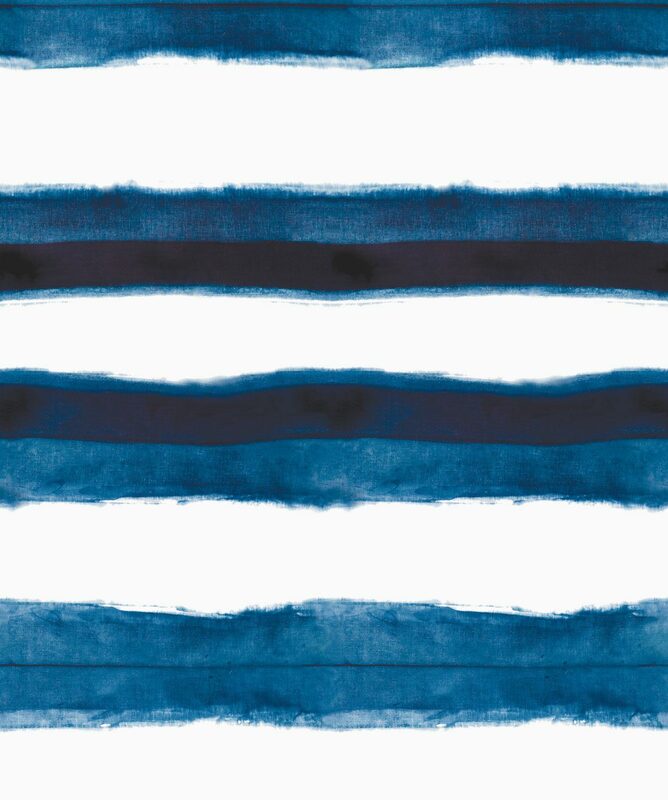 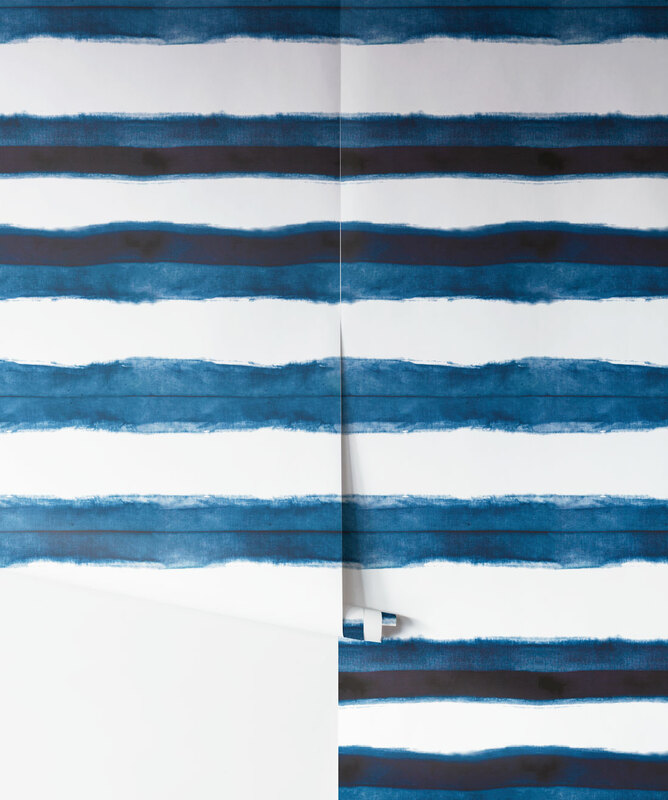 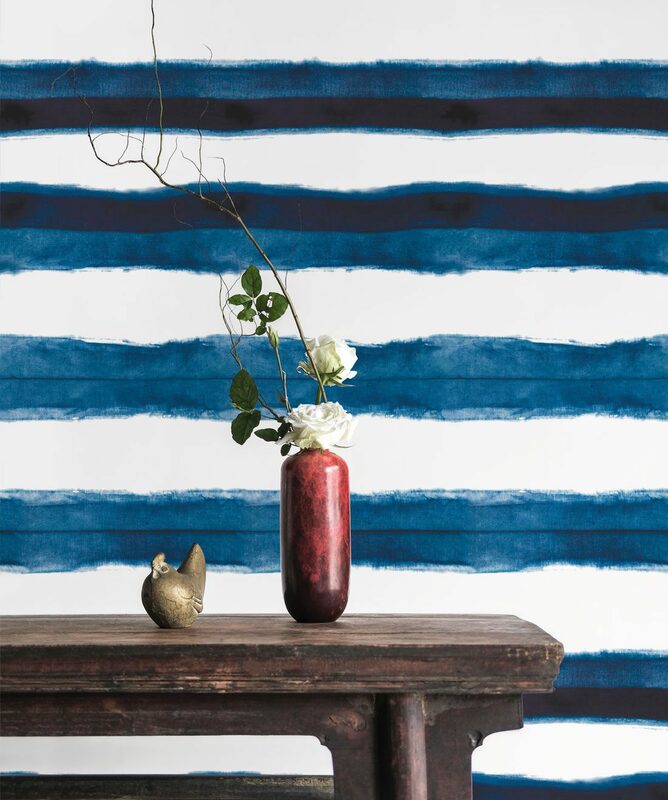 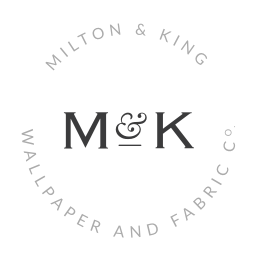 Sydney Designers, Pepa Martin and Karen Davis’ new range of Shibori Wallpaper now makes it possible to have a hand dyed feature on any wall of your home or commercial space. 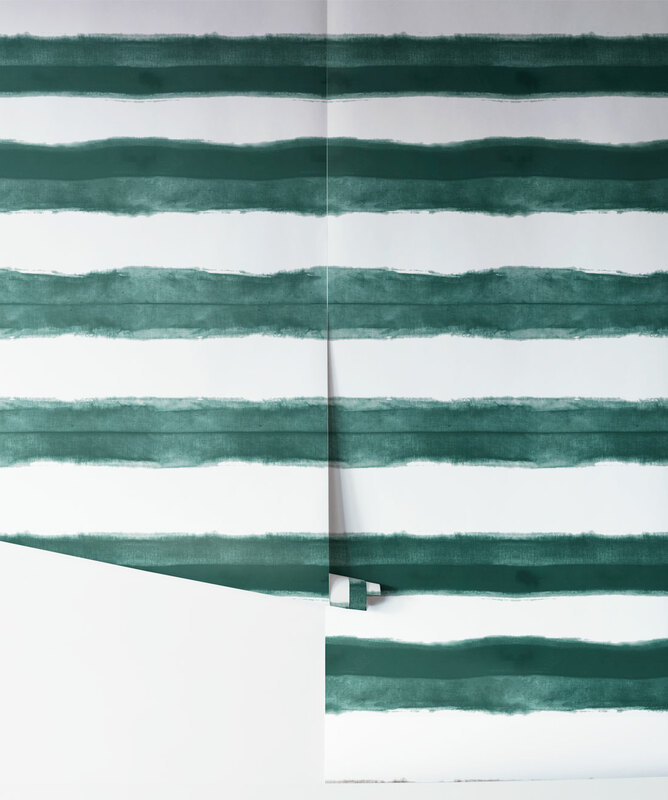 Add a huge dose of deep colour with these hand-dyed wallpapers.